Not every problem occur with the growing age. Children and infants may also suffer from neurological problems which are curable. 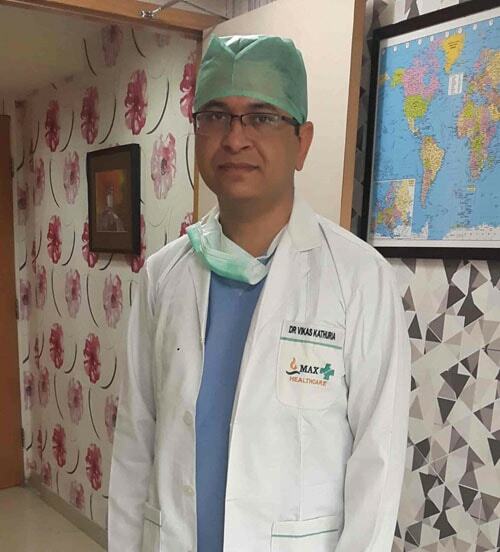 Dr. Vikas kathuria is one of the famous pediatric Neurologist in Gurgaon offering various surgical and nonsurgical treatments related to child neurological problems. Paediatric Neurosurgery specialized to treat the spinal, head & central and peripheral nervous systems related problems in children having the age of 0-15 Yrs. As a whole it covers the surgeries and treatments for benign and malignant brain and spinal tumors including cranial deformities, Chiari malformation, Moyamoya Disease, Syringomyelia, Craniosynostosis, trauma, neurovascular conditions, congenital problems, craniofacial surgery, and management of hydrocephalus, Spinal Bifida, Epilepsy, Head injuries, vascular malformations, spasticity and epilepsy, and minor nerve disorders, and more. Only highly trained professional doctors can treat the children while reviewing their physical ability and medical history. Dr. Vikas Kathuria is one of the best pediatric neurologist doctors in Gurgaon offering the pediatric neurology services across Delhi/NCR. 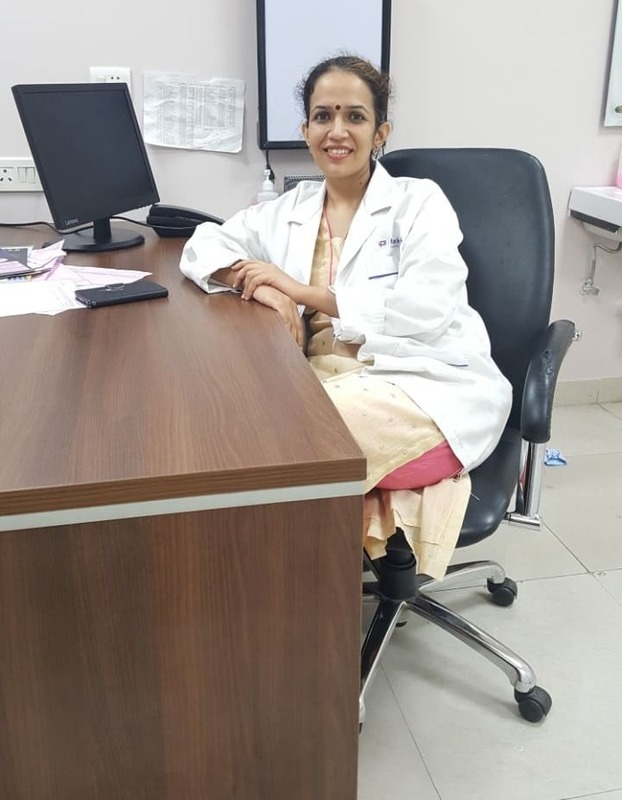 State of the art medical services is provided at Skin Aura Brain & Spine Neuro Centre Gurgaon.Proper assistance is given in the form of various diagnostic methods such as CT-Scan, MRI Scanners, and pediatric intensive care units. The team of anesthesiologists, neurologists, oncologists, and others jointly make an effort to cure the children of neurological disorders effectively and safely. We claim to be the best Child Neurologist in Gurgaon offering best surgical and nonsurgical treatments using advanced technology. So be it congenital disorders or deep-rooted tumors in Child, connect Skin Aura Brain & Spine Neuro Centre to avail less scarring, painless and minimal blood loss treatments at best prices. Chiari malformation is a problem in which your brain tissue extends into your spinal canal. It happens when part of your skull is unusually small or misshapen, pressing on your brain and forcing it downward. 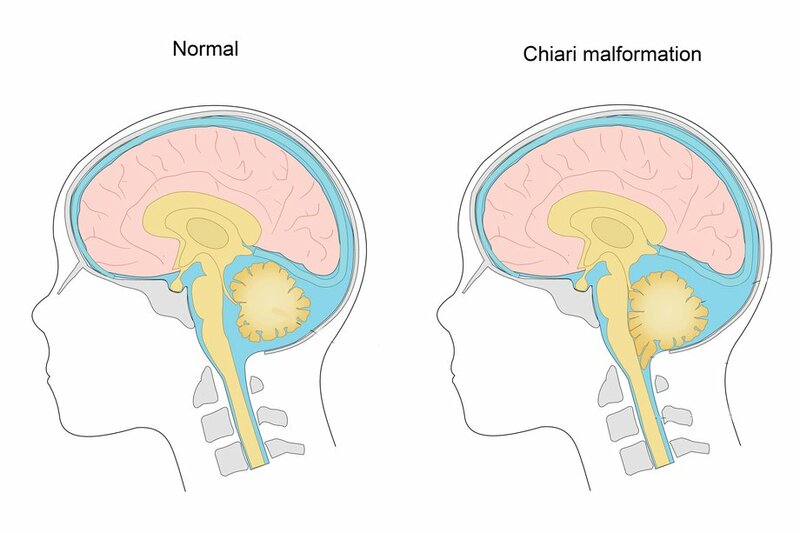 Chiari malformation is categorized into three types, on the basis of anatomy of the brain tissue that is moved into the spinal canal, and whether developmental abnormalities of the brain or spine are present. Symptoms if present may include dizziness, muscle weakness, numbness, headaches, vision problems and problems with balance and coordination. The treatment of Chiari malformation is done according to the severity and related symptoms. Regular monitoring, medicines, and surgery are treatment choices. Sometimes, no treatment is required for Chiari Malformation. Moyamoya disease is a rare, progressive blood vessel disorder in which the carotid artery in your skull becomes blocked or narrowed, decreasing blood flow to your brain. Small blood vessels then open up at the base of the brain in an effort to supply the brain with blood. Because of the lack of supply of necessary blood and oxygen to the brain, a temporary or permanent brain injury can happen. This may cause a ministroke, stroke, bulge or ballooning in a blood vessel or bleeding in the brain. It may also affect your brain functioning and cause cognitive and developmental delays or disability. Moyamoya disease commonly affects children, but adults may also have a problem. Moyamoya disease is commonly found in East Asian countries. Syringomyelia is a rare disorder in which a fluid-filled cyst (syrinx) is developed within your spinal cord. With time, this cyst may enlarge, damaging your spinal cord and giving pain, weakness, and stiffness, with other symptoms. Syringomyelia occurs due to numerous possible causes, though the majority of cases are related to a condition in which brain tissue protrudes into your spinal canal (Chiari malformation). Some other causes may include spinal cord tumors, spinal cord injuries and damage due to inflammation around your spinal cord. Treatment is done to relieve the pressure on your spinal cord. The treatment depends on the cause of your syringomyelia. Surgery may be required if you are bothered by symptoms. Follow-up care after surgery is also very important as syringomyelia can reoccur. The treatment of craniosynostosis is done through surgery to correct the shape of the head and allow for normal brain growth. Early diagnosis and treatment permit the baby's brain enough space to grow and expand. Trauma is a kind of response to a deeply distressing or disturbing happening that beat an individual’s capacity to cope gives feelings of helplessness, lessens their sense of self and their capability to feel the full range of sentiment and experiences. Though there are no objective criteria to evaluate which events will cause post-trauma symptoms, conditions typically involve the loss of control, unfaithfulness, abuse of power, helplessness, pain, confusion and/or loss. Traumatic situations that cause post-trauma symptoms differ pretty radically from person to person. There is no such treatment for trauma nor any quick fixes for the suffering connected with them. However, there is hope as a wide range of useful therapies exists and access to them is widespread. A trauma survivor is best served by working with a therapist or therapy which is trauma-focused. Different parts of our brain control everything from heartbeat to the capacity to see and hear; from the ability to breathe to the ability to think, walk and many more. The neurovascular disease can damage the brain by altering its blood flow, depriving brain cells of the oxygen essential to their survival. Neurovascular disorders are common and possibly devastating. They include cerebral infarction and other types of stroke, cerebral or intracranial aneurysms i.e. widening and weakening of an artery and vascular malformations which is tangled vessels in the brain. Even without a major incident like a stroke, the neurovascular disease can impair the brain's normal function by dipping its blood flow. Damaged brain cells cannot regenerate on their own, and therefore it is critical to hold and repair damage once it takes place, and equally critical to prevent it before it happens. Craniofacial surgery is a kind of plastic surgery which is done to correct and reconstruct the malformations or problem of the skull. The most common condition treated with craniofacial surgery is craniosynostosis, the early closing of the spaces between the bones of the skull, resulting in abnormal skull growth. The specific surgery to treat craniosynostosis is known as a cranial vault remodeling. Craniofacial surgery is a procedure to fix congenital defects of the skull i.e. problems that were present at birth, or injuries to the soft tissue and bone in the head and neck. This surgery generally takes about 8 hours, depending on the type and severity of the problem. Epilepsy is a neurological or central nervous system disorder in which your brain activity becomes abnormal, causing seizures or periods of strange behavior, sensations, and sometimes loss of awareness. Epilepsy affects both men and women of all ages and races. Seizure symptoms may differ extensively. Some epilepsy cases, people simply stare blankly for a few seconds in a seizure, while others repeatedly jerk their arms or legs. Treatment with medicines or sometimes surgery may often control seizures in epilepsy. Some people need lifelong treatment to control seizures, however for others; the seizures sooner or later go away. A head injury is any kind of injury to your brain, skull, or scalp. The injury can range from a mild bump or bruise to a traumatic brain injury. General Head injuries comprise concussions, skull fractures, and scalp wounds. The consequences and treatments differ to a great extent, depending on the cause and severity of your head injury. Head injuries can be either closed or open. A closed head injury is an injury that doesn’t break the skull, however, an open head injury is one in which something breaks your scalp and skull and go into your brain. You cannot guess the severity of the problem just by looking at some minor head injuries bleed a lot, whereas some major injuries don’t bleed at all. It’s important to consult a doctor and treat the head injuries seriously. Congenital disorders are conditions present from birth. Generally, babies are born healthy, but when a baby has a condition that is there from birth, it is called a congenital disorder. Congenital disorders may happen due to inheritance or caused by environmental factors and their impact on a child’s health and growth may differ from mild to severe. A child with a congenital disorder may get a disability or health problems throughout life. Some of the congenital disorders may include cleft lip and cleft palate, cerebral palsy, Down syndrome, spina bifida, cystic fibrosis and heart conditions. Approximately, half of all congenital abnormalities can be associated with a specific cause, like infection, malnutrition or alcohol exposure, all of which may lead to abnormal development within the womb. Vascular anomalies are a number of abnormalities that affect children and young adults. They look like a blemish or mass that may cause pain, swelling, or bleeding. Vascular malformations generally result from abnormal growth in blood vessels, lymph vessels, veins, and/or arteries. It may also occur due to fluid or blood accumulating in poorly formed veins or lymphatic channels and may cause a cosmetic defect of the head and neck and can interfere with normal function in these areas. They may also happen in other areas of the body and give pain, swelling, and bleeding. Hormonal changes during puberty and pregnancy affect vascular malformations. Often, vascular malformation needs treatment, to get better appearance and lessen pain, swelling, and bleeding. Skin Aura Brain & Spine Neuro center is one of the reputed clinic offering various surgical and non-surgical treatments related to skin, hairs, brain & spine. 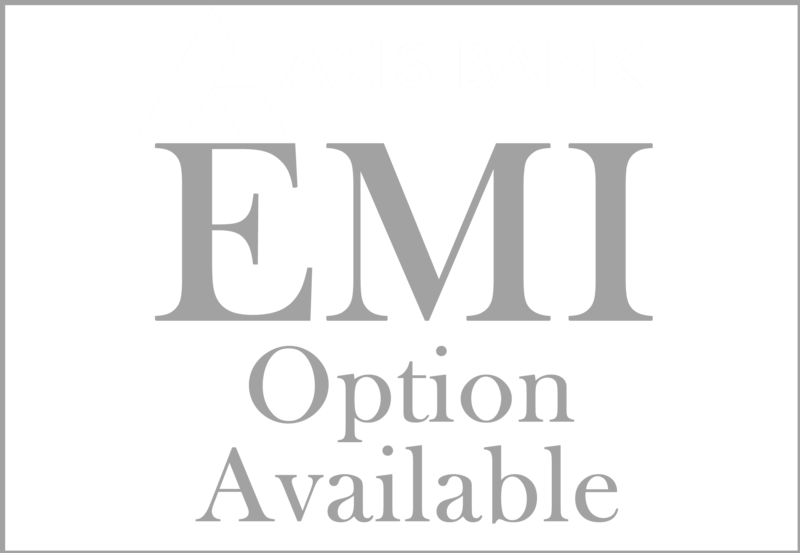 The clinic is successfully run by Dr. Jasdeep Malhotra (Dermatologist) & Dr. Vikas Kathuria (Neurosurgeon) in Gurgaon. I visited Skin aura gurgaon 1 month back, I was referrred by my friend for laser of chest. After only 2 sessions , i feel the major difference, i m so happy. Thanks Dr jasdeep. Highly recommended. My experience with this clinic is excellent. Dr Vikas treated my backache and I I got laser treatment for face. Dr Jasdeep is really an expert in lasers. I am so happy that my collegues noticed and commented upon me that my face looks younger and refreshed, thanks to Dr Jasdeep kaur for Cosmelan peel I received. Thank u Jasdeeep mam.... U have removed my mole so beautifully that I myself can&apos;t find that scar.... Ur work speaks.